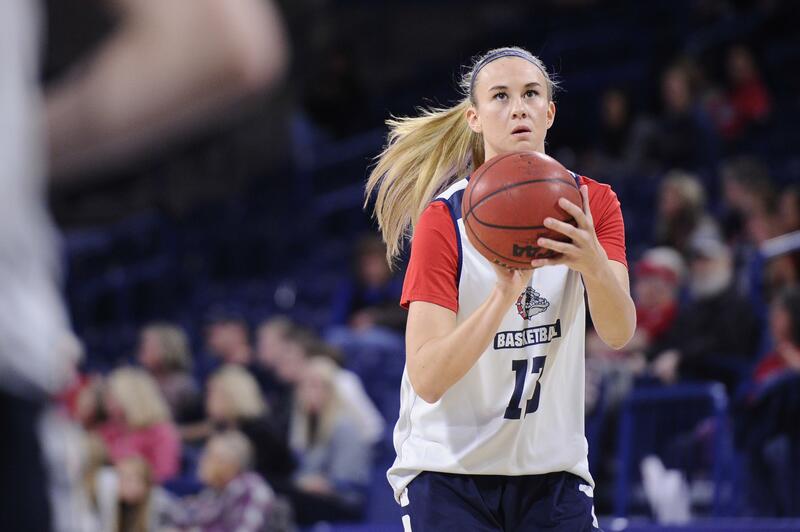 Fri., Nov. 17, 2017, 4:35 p.m.
Jill Barta will be back in her home state and Gonzaga hopes to get into the win column today as the Bulldogs play at Montana in a nonconference women’s basketball game Saturday night. “A whole lot of family is going to be there, so it’s going to be something special,” said Barta, a native of Fairfield who led her high school team to four consecutive state titles. Barta, a 6-foot-3 forward, also hopes to get the Bulldogs into the win column after they dropped their opener 65-49 at Colorado State on Monday. GU led 20-11 after one quarter but shot 22 percent the rest of the way and failed to make a 3-point shot in the last three quarters. Tradition is on GU’s side. The Zags have dropped 14 regular-season openers but won the next game on 10 occasions. Barta’s high school career is the stuff of legends, as she went 104-0 leading the Eagles, the longest such streak in Montana high school history. Barta finished her high school career with 39 20-point games and was the Gatorade Montana Girls Basketball Player of the Year her senior year. Montana (0-2) is coming of a 71-45 home loss Thursday night to Kentucky. Prior to the season, Grizzlies player and Spokane native Kayleigh Valley reinjured the same knee that ended her season before it began last year. She’s out for the season. Valley had one of the best individual seasons in program and Big Sky Conference history as a junior in 2015-16, scoring at 21.9 points per game. She was voted Big Sky Preseason Player of the Year prior to this year and last. Published: Nov. 17, 2017, 4:35 p.m.